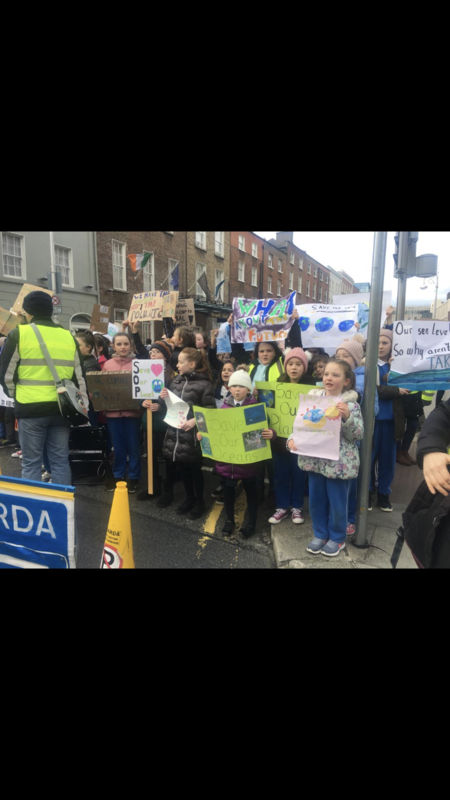 Today there was a protest outside the Dáil that two girls from out class attended with other members of the school. 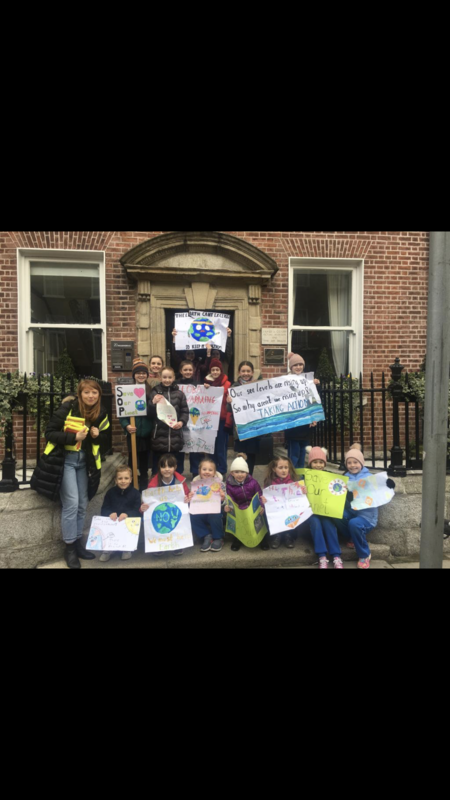 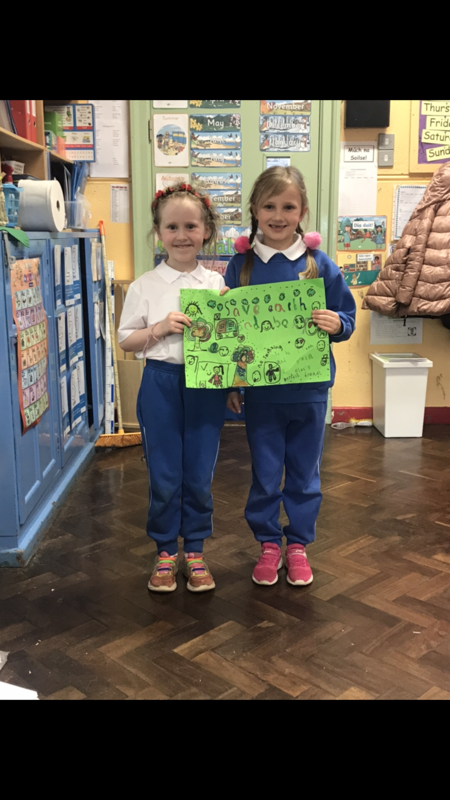 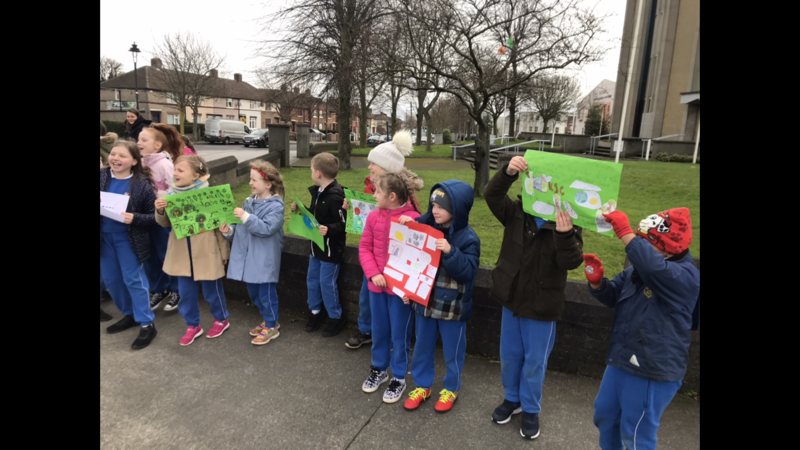 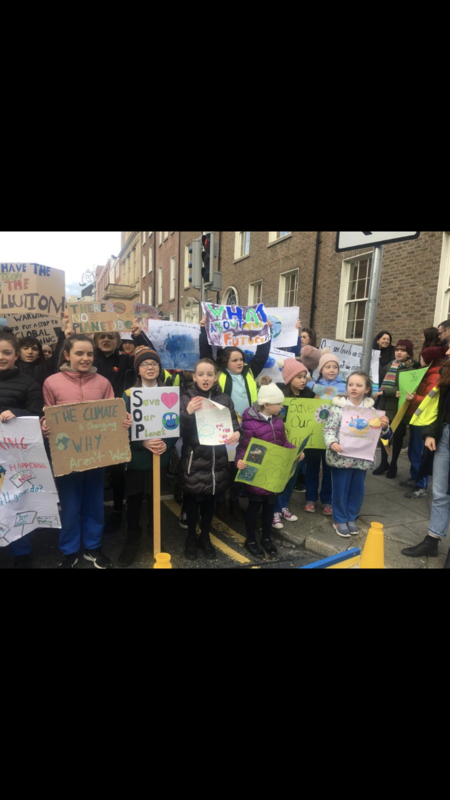 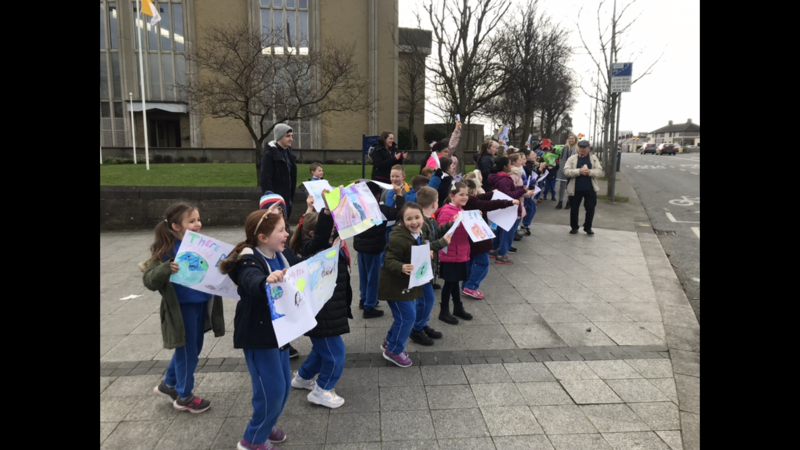 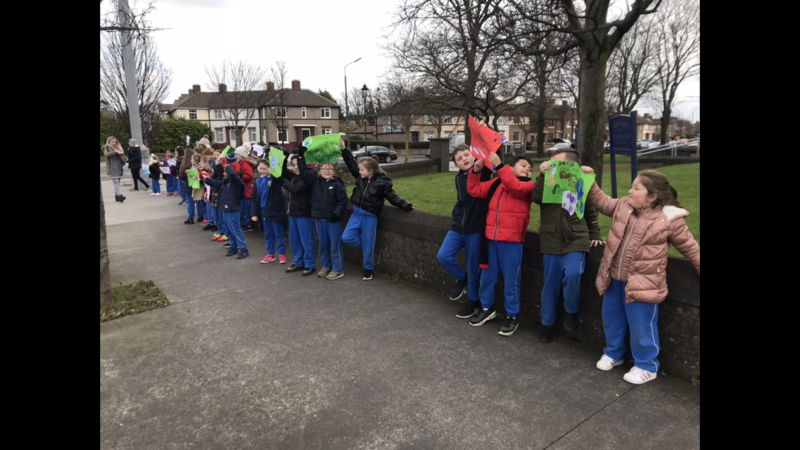 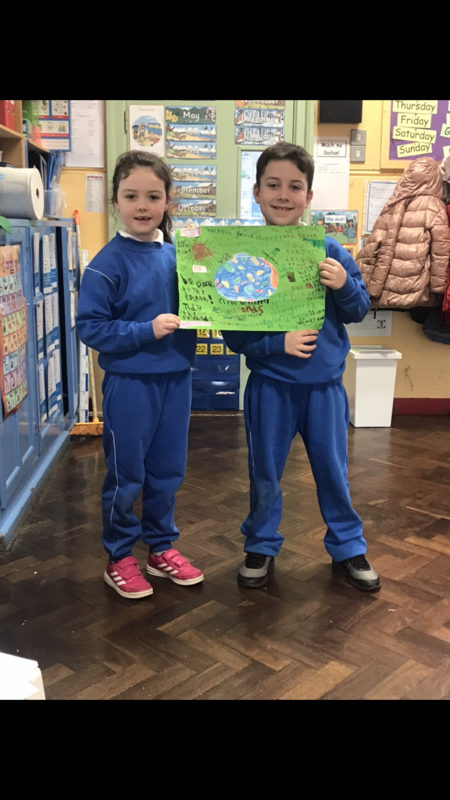 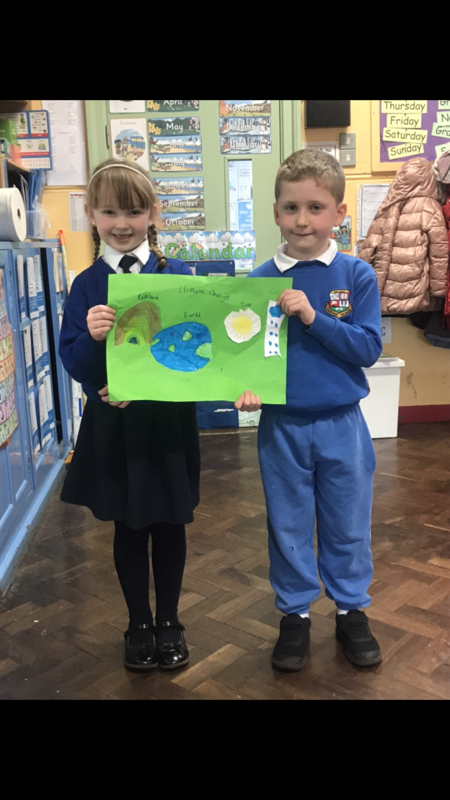 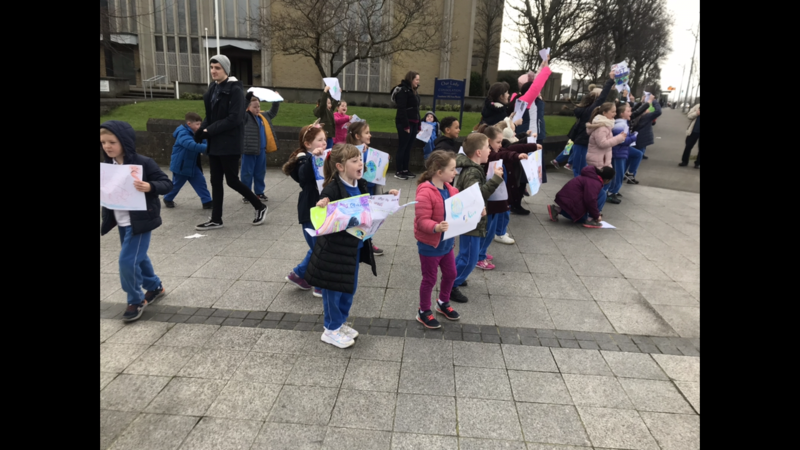 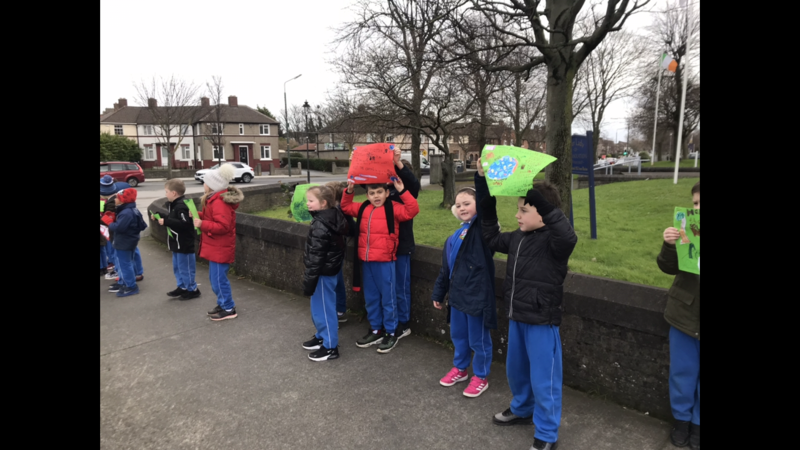 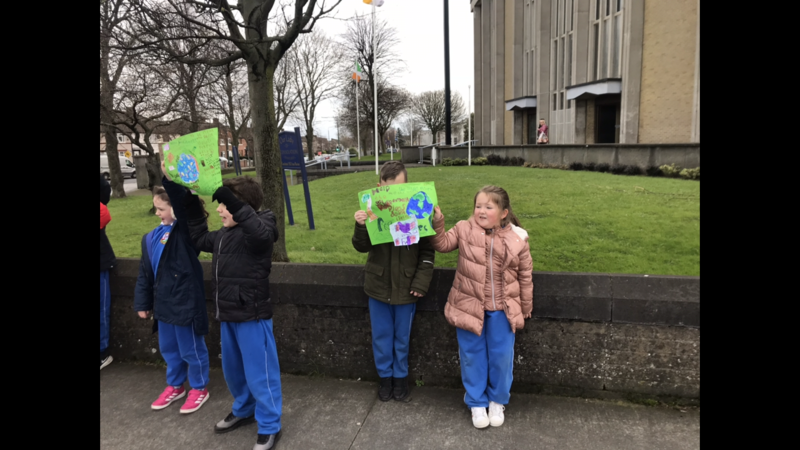 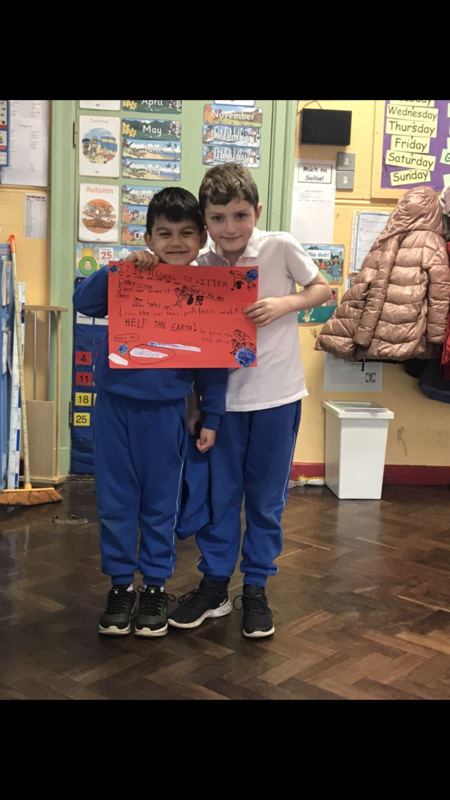 The rest of class along with the other first class and 4th class stood along the Malahide Road with the posters they made chanting ‘Save our Planet’. 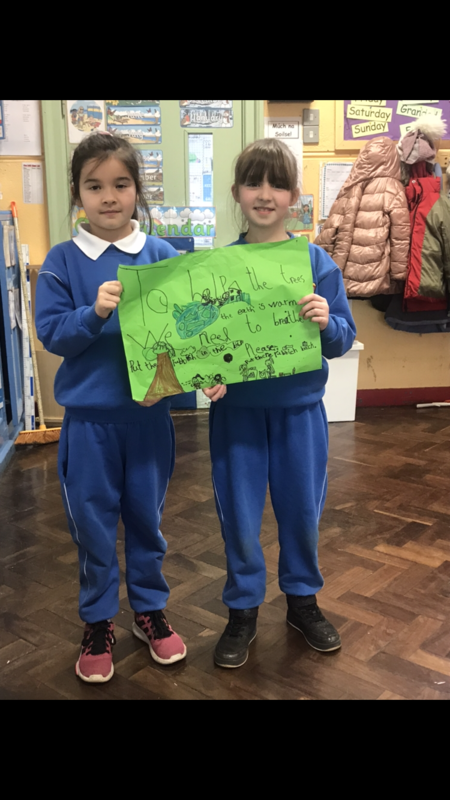 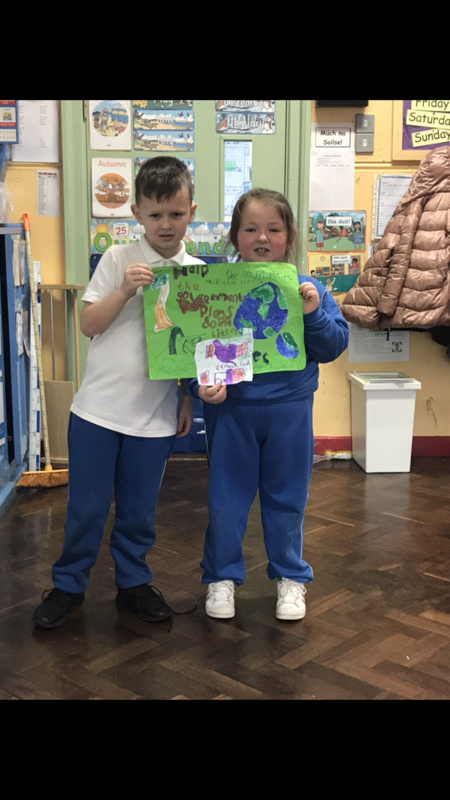 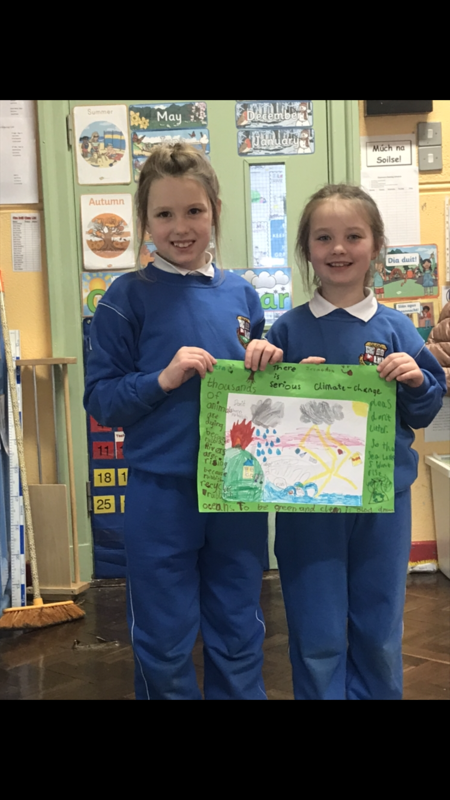 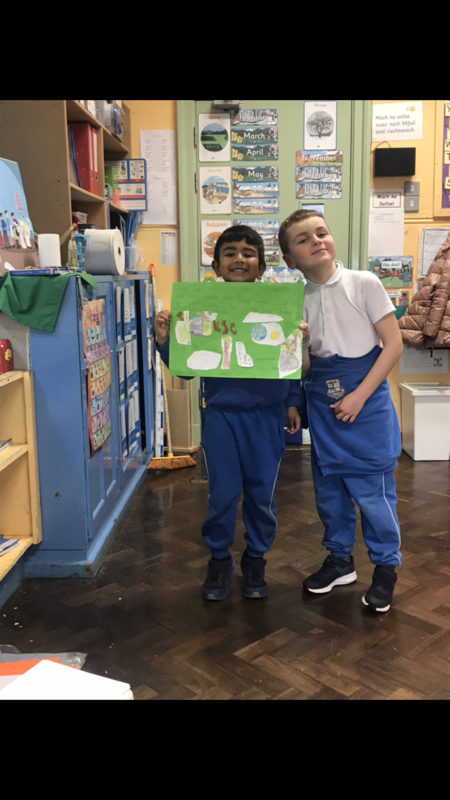 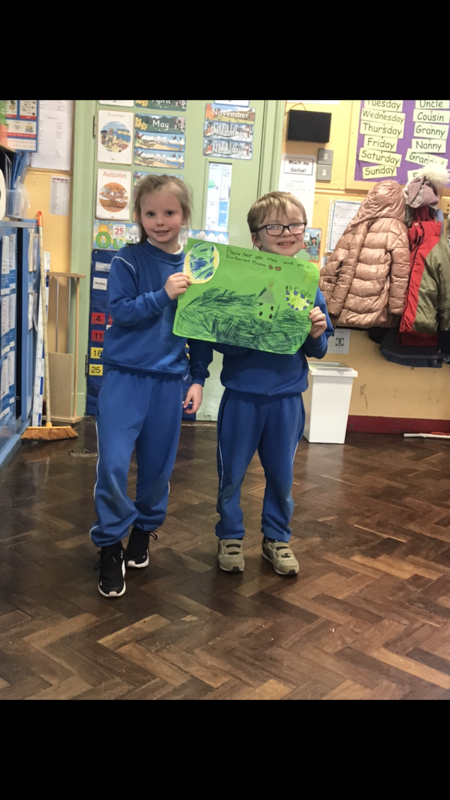 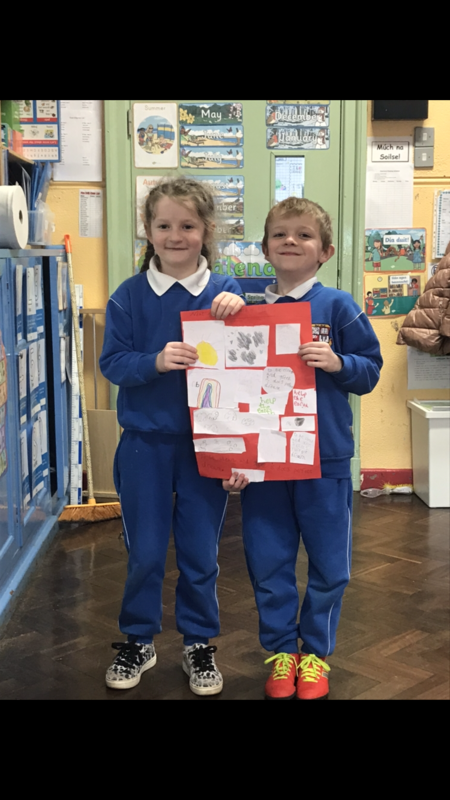 We have been learning lots about climate change and how we can help save our environment.